Missouri Governor-elect Eric Greitens listens as wife Sheena talks about her expirence of being robbed to reporters in St. Louis. Updated after Eric and Sheena Greitens' Tuesday press conference - Gov.-elect Eric Greitens is praising the quick work of law enforcement, and expressing sentiments of forgiveness, after Missouri's future First Lady was robbed at gunpoint on Monday night. St. Louis police said in an emailed statement to St. Louis Public Radio that Sheena Greitens was sitting in her car near Cafe Ventana in St. Louis' Central West End neighborhood. Her car door was suddenly opened by a suspect, who then pointed a gun at Sheena Greitens and demanded her property. She gave the suspect her laptop and cell phone. The statement goes onto say that Sheena Greitens saw several men running from the scene, and further investigation found that there was a robbery in another car in the same parking lot. The owner of that vehicle tracked his stolen cell phone, which allowed police to find the suspects' car. After that vehicle got into an accident and the suspects unsuccessfully tried to flee on foot, police ultimately arrested a 14 year old male, a 15 year male and 19 year old male. Police say nobody was injured and that the stolen property was recovered in the suspects' car. "I am safe and we are incredibly thankful to the law enforcement officers and their families who go out every night and work to keep all of us safe," Sheena Greitens said a Tuesday morning press conference. "We are also aware that what happened to me and to our family last night happens to far too many people and far too many families across the city and in this state — and that cannot continue." 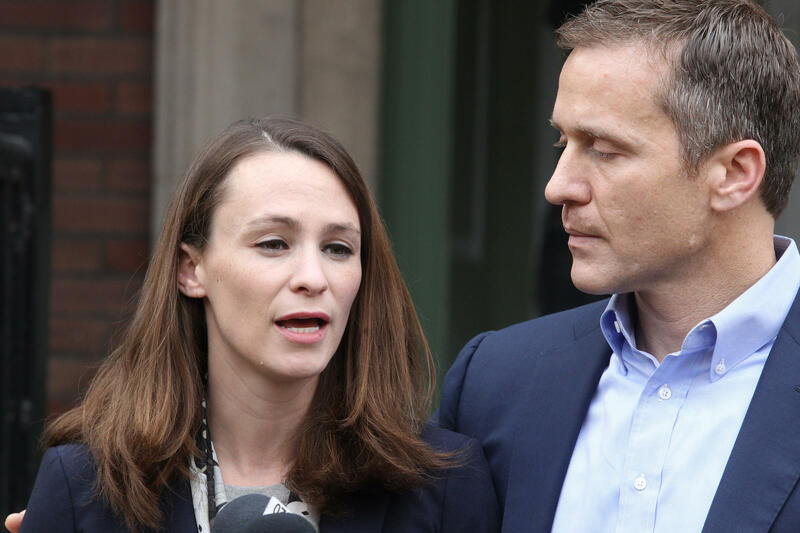 The above audio features comments from Sheena and Eric Greitens at a press conference on Tuesday morning. After thanking police officers, Eric Greitens told reporters that, as a husband, his first thought was for his wife's safety. "My second thought was for justice," he said. "And I'm glad that the men and women of law enforcement found these young men before I did. These young men victimized many people last night, and they need to face the justice system for what they did. Law and order must prevail — and it must prevail in all of our communities." Greitens adviser Austin Chambers said Sheena Greitens was not traveling with any security from the Missouri Highway Patrol. But he went onto say that the Highway Patrol has been "extremely gracious" and now has "made accommodations where they are now speeding up the timeline." "And she will now have a detail starting today," Chambers said. "Generally, what we had agreed to after the election is the governor-elect has a security detail during the transition and that the First Lady would get one when they're sworn in. But the [state patrol] has been extremely gracious and they are providing a detail for her now after this incident." Sheena Greitens is an assistant professor of political science at the University of Missouri-Columbia. The Harvard-educated PhD is an expert on East Asian government and politics, particularly concerning China and North Korea. She recently published a book on the secret police organizations of East Asian dictators. Chambers told reporters recently that Sheena Greitens will continue to teach while serving as First Lady. 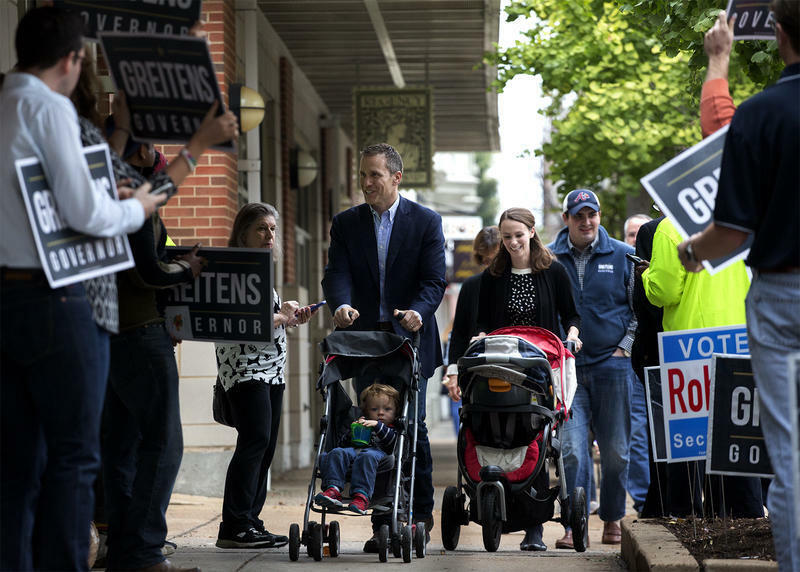 Along with other Republican candidates who ran for governor this year, Greitens made bolstering public safety in Missouri’s cities a priority of his campaign. When he’s sworn into office next year, Greitens will become the first city of St. Louis resident to become governor in roughly a century. Eric and Sheena Greitens prepare to vote in the Central West End on Nov. 8, 2016. After a St. Louis police officer was shot in southwest St. Louis, Greitens called for an emergency alert system aimed at catching people suspected of wounding or killing a police officer. During the Tuesday press conference, Eric Greitens said "if we continue down our current path, it will continue to lead to more disorder, more lawlessness, more chaos, people living farther and farther apart from each other divided by fear." He went onto say that the lives of the young men suspected of robbing his wife have also changed. "Faith teaches us that we must forgive — and that's what Sheena and I plan to do," he said. "And we want those young men to know that today. And we want their families to know that today. And I plan to sit down with their mothers and their families to discuss what we can do together to make sure that every family and every community in the state of Missouri knows that they can go home at night and look at their kids and know that they'll be safe. 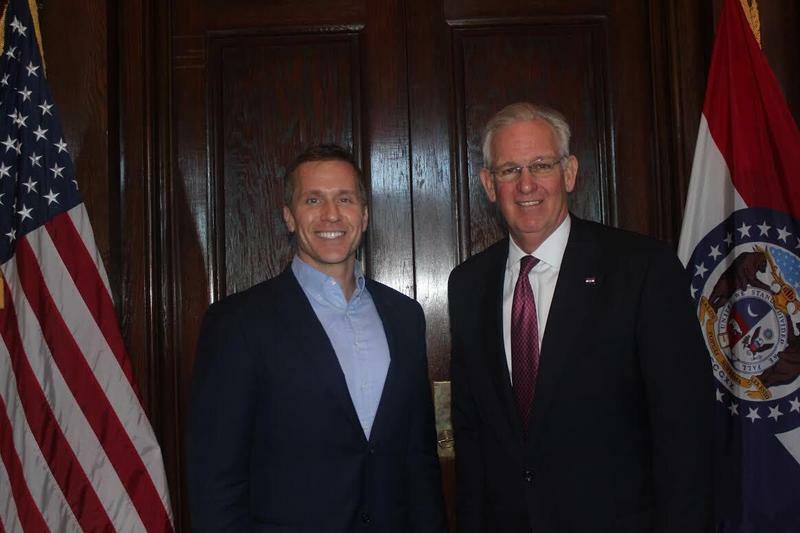 "This has strengthened my belief that we must do different in the state of Missouri and that's what I plan to do as governor," he added. 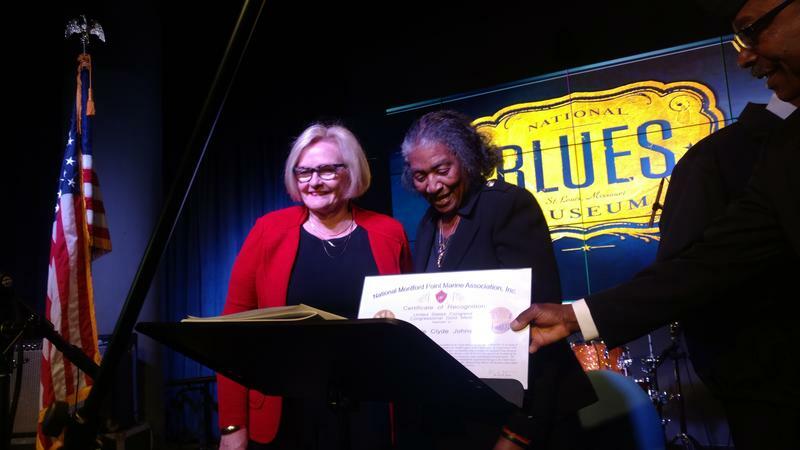 U.S. Sen. Claire McCaskill, D-Mo., is praising Missouri’s new governor-elect – Republican Eric Greitens – for reaching out to her in what she sees as a signal of possible cooperation, at least in some areas. In an interview, McCaskill said the two talked right before Thanksgiving. “Governor Greitens called me and we had a great conversation,” she said. Updated Dec. 8 from Dec. 1 article to reflect more donations and suit actually filed - Opponents filed suit Wednesday to block part of Missouri’s new campaign donation law slated to go into effect Thurday. 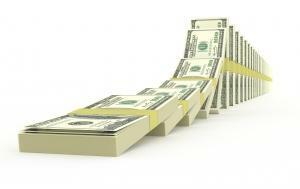 The suit doesn't challenge the new campaign-finance limits, but does ask the court to block a ban on some donors. Meanwhile, some politicians – notably Gov.-elect Eric Greitens – appear to be taking advantage of the guaranteed one-month window to stock up on cash before the new limits go into effect. On Wednesday, the final day of unlimited donations, Greitens collected $2,382,860.